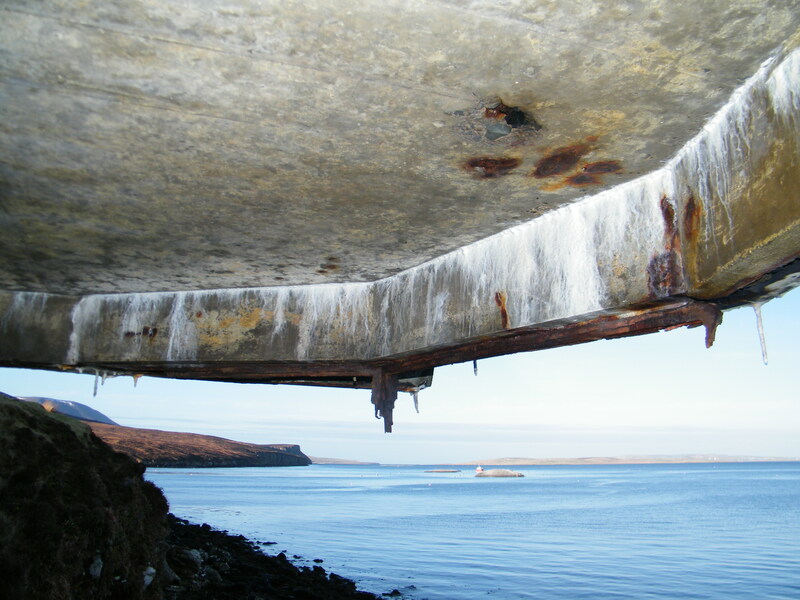 The proof of Hoy’s incredible WWII legacy lies in the scale and quality of the remains that survive. 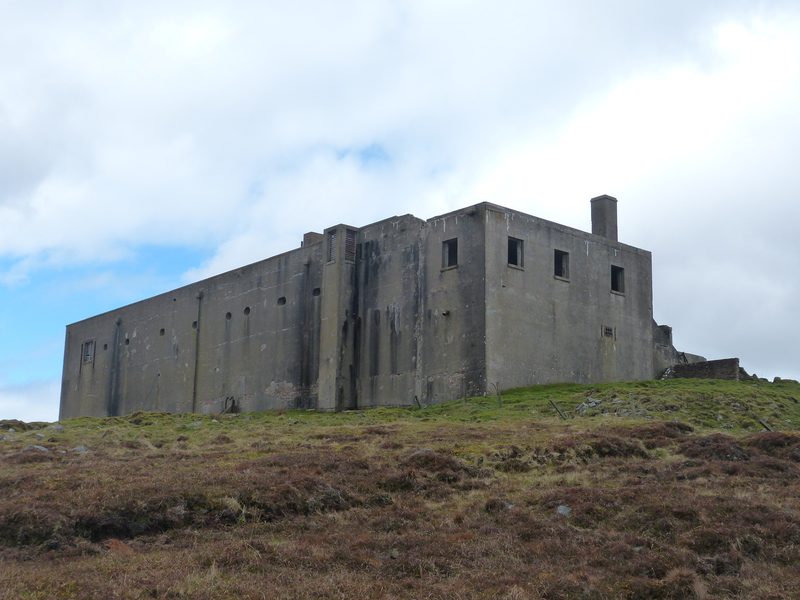 The island-wide community archaeological survey that was undertaken as part of the Legacies of Conflict project unequivocally demonstrated the scale of the military presence on Hoy during WWII and how much of it has survived as a lasting legacy on the island today. 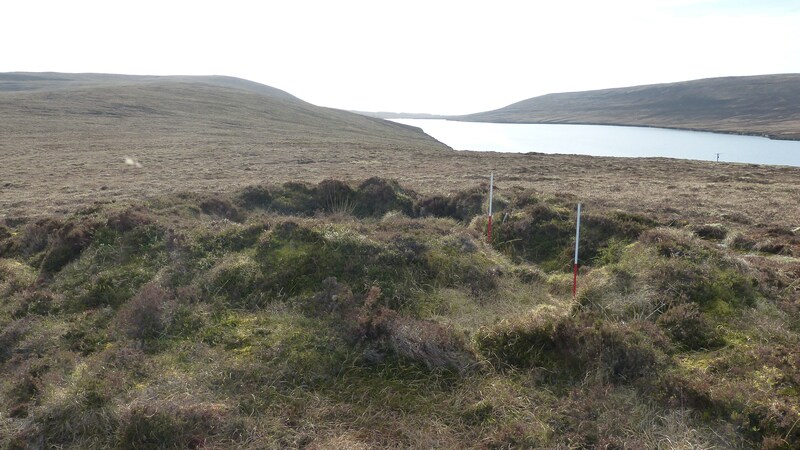 A total of 415 archaeological sites specifically relating to WWII activity on Hoy were recorded during the course of the fieldwork programme. 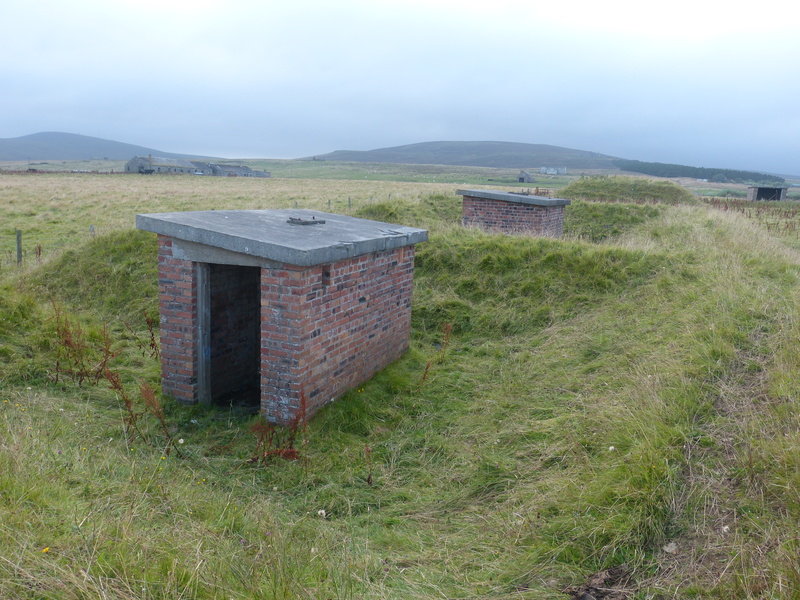 This figure more than triples the number of known WWII archaeological sites on Hoy from the 128 noted as previously recorded in the Nation Monuments Record of Scotland to a new total of 543. 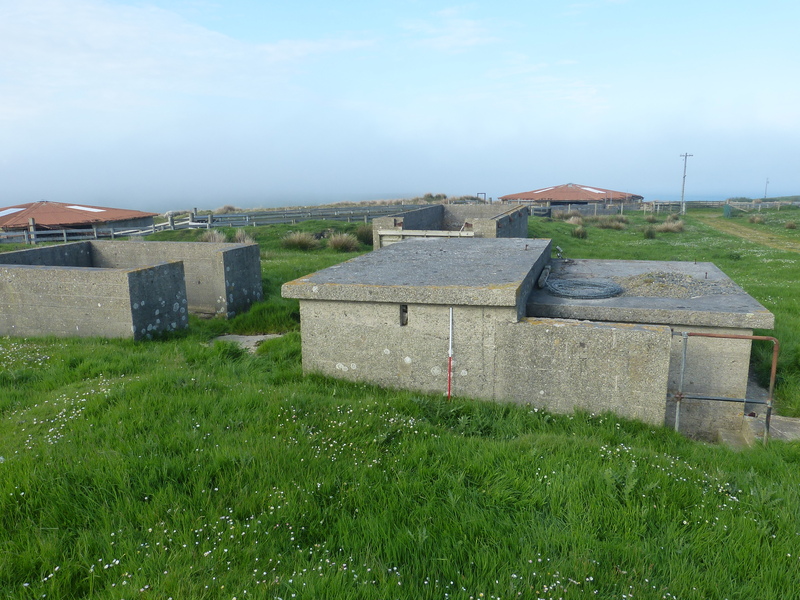 You can now explore all of these sites through your digital device using the Island of Hoy Development Trust’s Site Explorer interactive maps which can be accessed from the Explore WWII Hoy and Walls page. 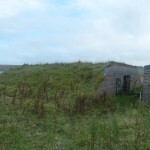 What is particularly notable about the sites that have been recorded during the island-wide survey is the number of well-preserved sites that have survived predominantly as earthworks. 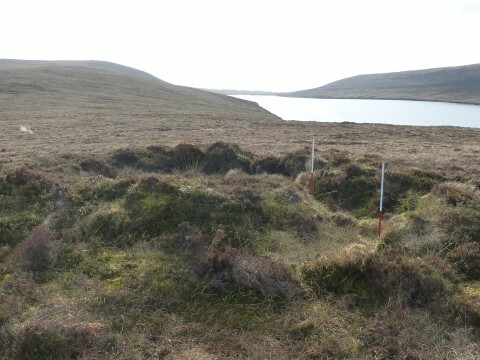 Indeed entire classes of site which were previously absent from the wartime archaeological record of Hoy have been identified. 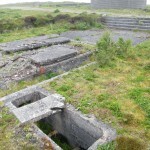 These include AALMG pits, defensive firing positions, mortar pits, observation posts and bomb craters. 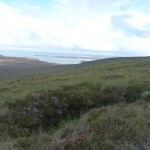 The archaeological record on Hoy has greatly benefited from low intensity land use patterns and a lack of post-war re-development which has allowed sites which are relatively easy to fill in and plough flat to survive almost fully intact. 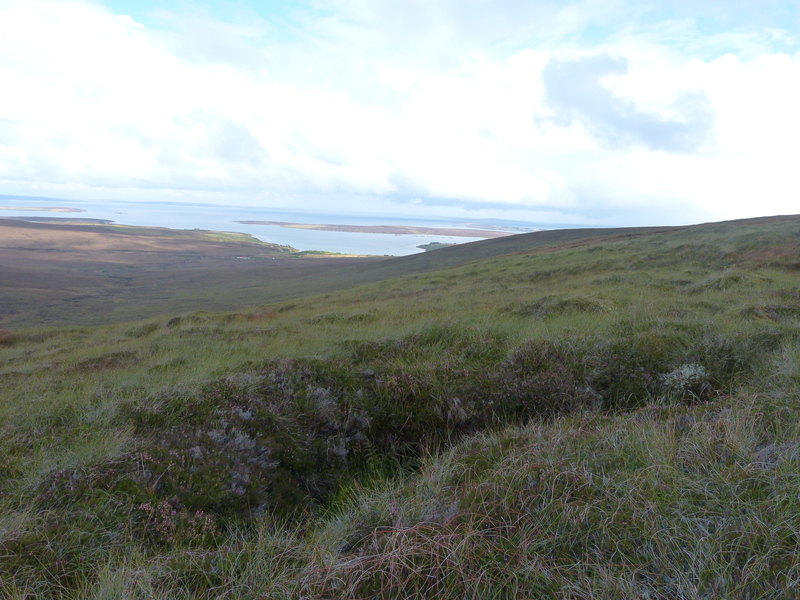 This is particularly true in more remote upland locations where some of the best examples of certain site types in Orkney, possibly even the UK can be found. 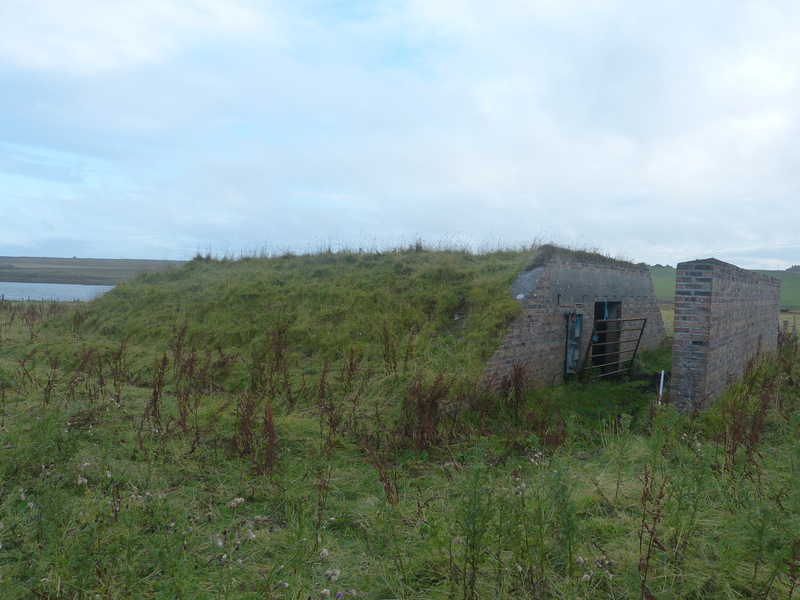 The Anti-Aircraft Searchlight Battery (AASL) at Heldale Water (HY92) is particularly worthy of note for its unusual doglegged entrance to the main emplacement and the survival of internal edge timber revetment supports. 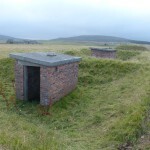 A group of three mortar pits (Z024-026) near to the summit of Wee Fea are also quite remarkable with curved corrugated iron ammunition lockers set into the rear of the wedge shaped pits. 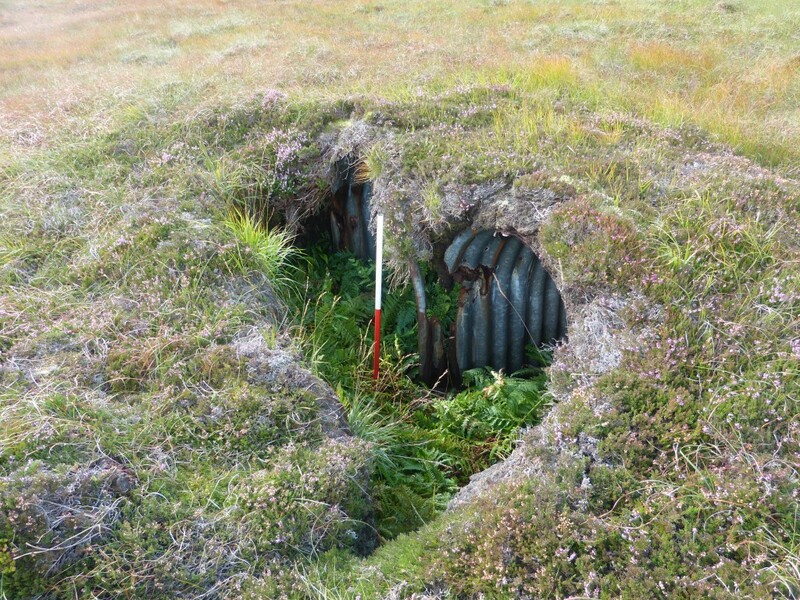 Further down the slope of the hill to the east an incredibly unusual 4m long slit trench (Y073) with a pair of corrugated iron Anderson type shelters dug side by side into the rear wall of the trench remains in excellent condition. 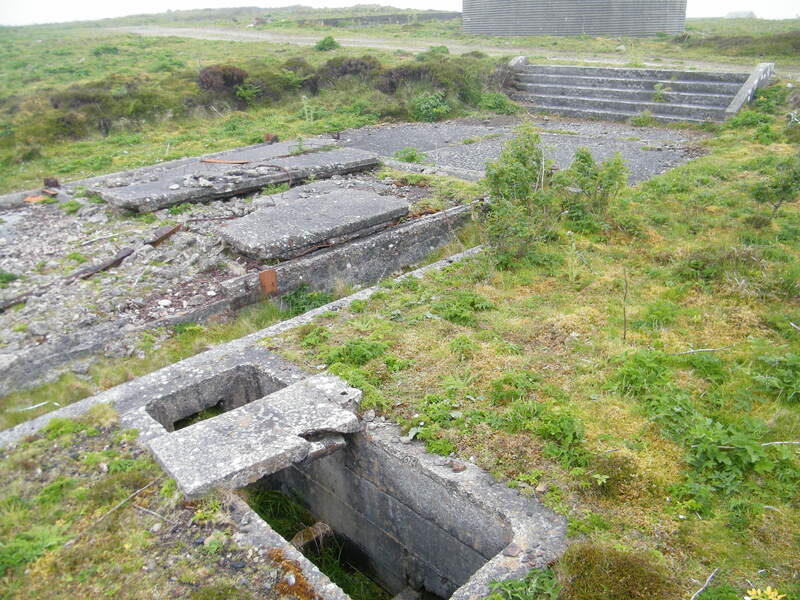 Even in more accessible lowland areas such as the north shore of Ore Bay the entirety of the Royal Naval Torpedo Depot and Armament Supply Depot Laboratories (HY40 / NMRS: ND39SW 20.11) are in evidence consisting of large concrete bases for the main torpedo sheds reinforced concrete explosive stores, laboratory examination rooms and PAD shelters surrounded by substantial turf blast bunds. 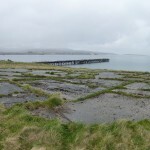 The list of remarkably well preserved sites could continue to be expanded upon and a further list could be compiled of sites with a particularly significant connection to historical events and activities. 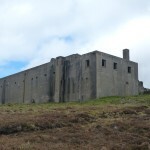 The following table presents a very short list of the Top 10 War Heritage Sites or groups of sites (WHS-TT) that combine the highest level of preservation with a national or historical significance on the island of Hoy. 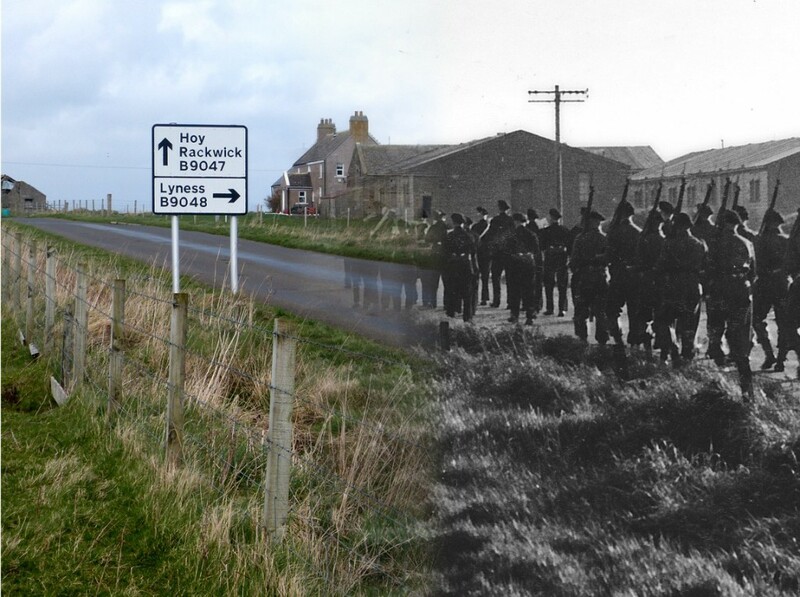 1-WHS-TT ND39SW 20.12 RN Recreation Centre, Lyness Building of WWI date that formed central hub of Lyness Naval Base entertainment in WWII. Contained 900 seat cinema & other recreational facilities. 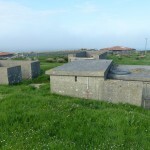 2-WHS-TT W005-16,18,20-27,38-52,55-63 Y001-Y081,83,84 Z002-033,35-50 Wee Fea Sector Prepared Land Defence System Best surviving example & densest concentration of prepared trench positions from WWII in the UK. 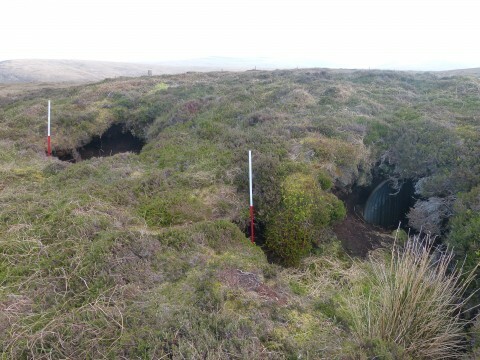 Consists of 156 slit trenches & 14 supporting weapons pits so far recorded over a 1.5km² area of hillside. 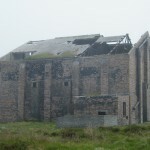 3-WHS-TT ND29SE 2 ACOS HQ & RN Communication Centre Splinterproof central communications centre & HQ of Admiral Commanding Orkney & Shetland from 1943. Coordinated all Home Fleet Base communications. 4-WHS-TT ND39SW 18.01 Submarine Torpedo Attack Teacher Only known UK example of a cycloramic synthetic trainer of this design used to train submarine crews in simulated attacks on ships. 1 of 2 surviving from a complex of 5 synthetic trainers at Rinnigill. 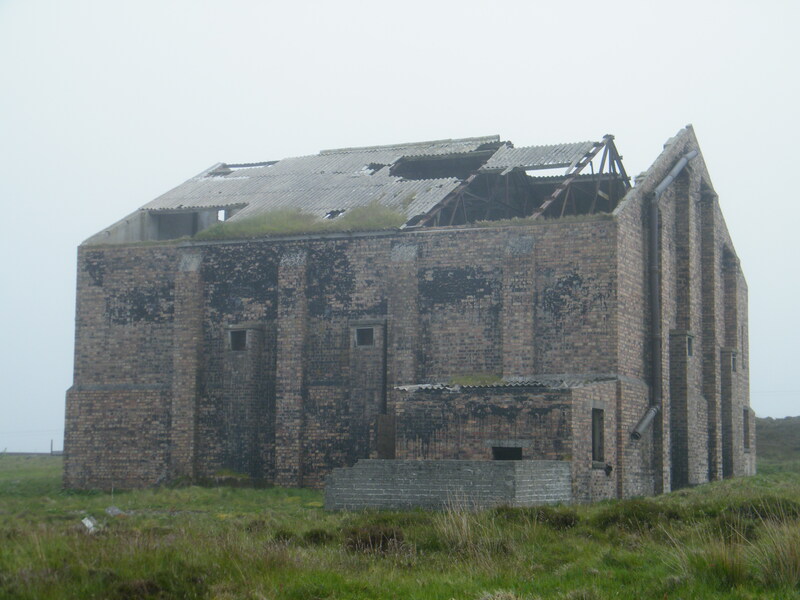 5-WHS-TT HY65 RN Fire Fighting School Complex consisting of concrete bases & standing brick buildings. School trained over 36,000 Naval personnel to combat ship based fires from 1942 until end of the war. 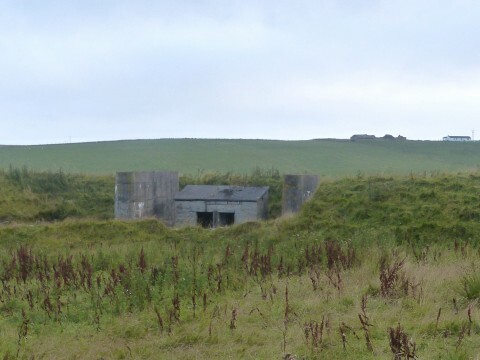 6-WHS-TT ND39NW 161 Rysa HAA Gun Battery 1 of few surviving pre-WWII built HAA sites in UK. Claimed 1st enemy aircraft shot down by AA guns in to crash on British soil in WWII during air raid on 17/10/39. 7-WHS-TT HY61 Helicopter Landing Pad Circular concrete pad c.20m diameter. 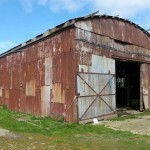 One of the earliest operation landing sites for Sikorsky R4-B Hoverfly helicopters in the UK. In use from 1945. 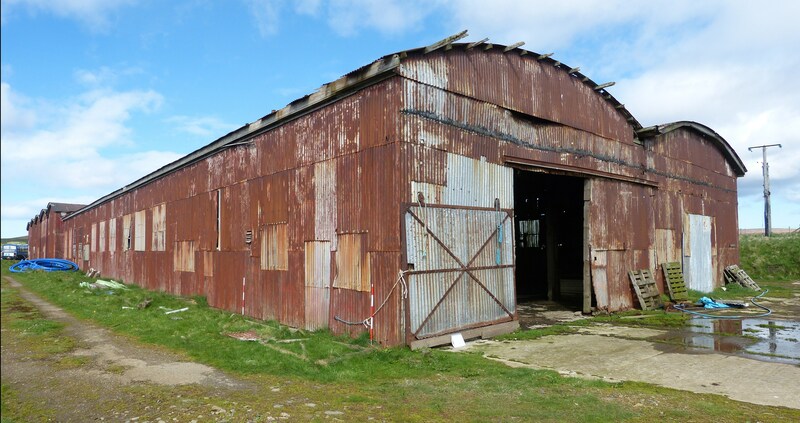 8-WHS-TT HY40 / ND39SW 20.11 RN Torpedo, Paravane & Armament Supply Depots Incredibly intact complex of earth bunded concrete Naval munitions examination, repair, fusing & store areas including a pair of WWI shell platforms served by narrow gauge railway. Stored, overhauled & issued 1314 torpedoes to British & US Fleets as well as Fleet Air Arm. 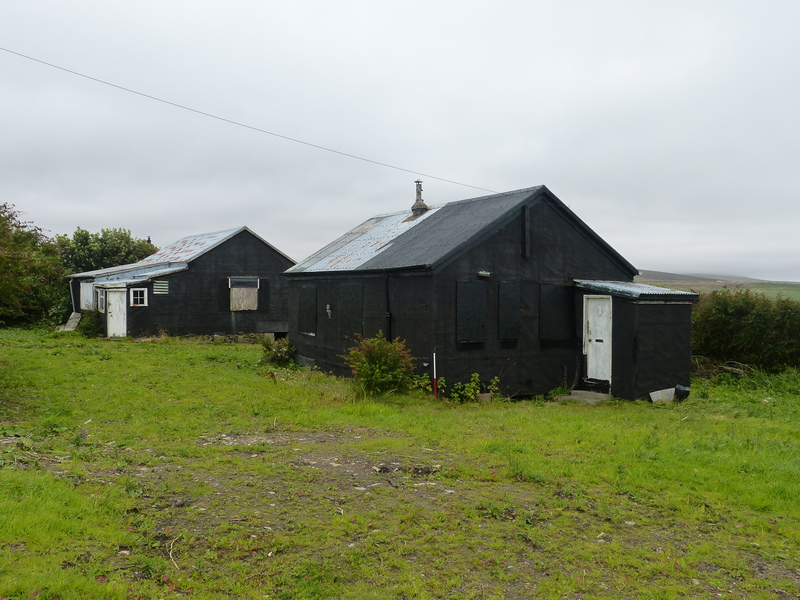 9-WHS-TT HY23, 24 & 26 / ND39NW 183 Bungalows 3 felt clad timber bungalows constructed post 1921-pre 1940. Sound wind & water tight condition. 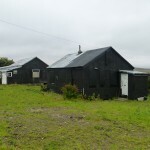 Present fine examples of rare pre-war temporary housing. HY23 may have been used during interwar salvage of German Fleet. 10-WHS-TT HY56 Bomb Crater Subtle circular depression represents 1st bomb to be dropped on British soil in WWII during 17/10/39 air raid.